James Hilton’s is a family business, and one of Manchesters oldest headstone and memorial stonemasons. 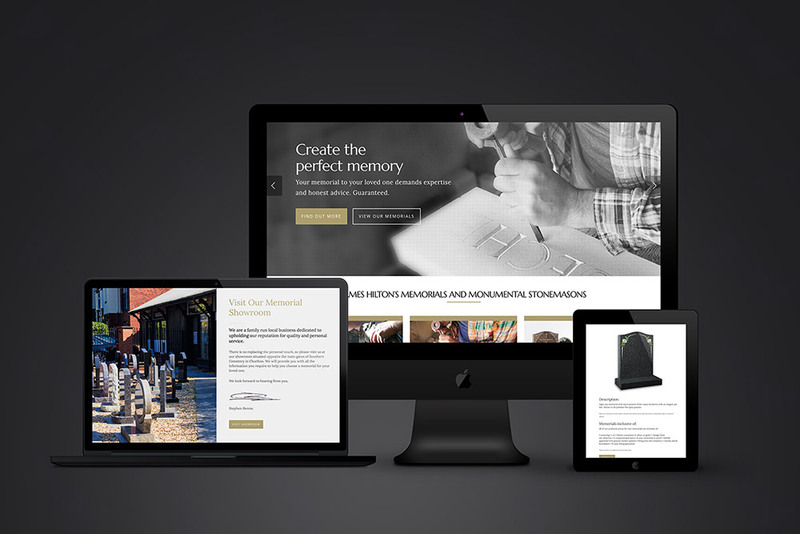 With a portfolio of hundreds of headstone designs, we set to work creating a responsive website that best enabled them to showcase their products, and most importantly, their customer service. As specialists in creating bespoke memorials, they are also able to offer services for restoring, or maintaining a memorial or headstone. By separating their services to a separate set of pages, we made it easier for visitors, and search engines, to see this range of additional services.